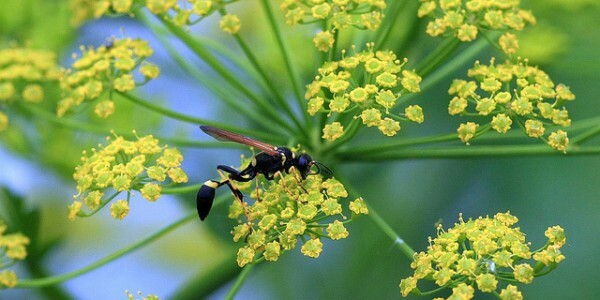 Insects or animals are classified as pollinators if they contribute to plant reproduction by distributing pollen between the male and female parts of various species of flowering plants like trees, wildflowers and food crops. Plants are living organisms that, on a cellular level, reproduce the same way animals do. Flowering plants reproduce by combining male and female cells to produce seeds. These seeds are then released to grow into new plants. Pollen is the male reproductive cell for a flowering plant and attaches to pollinators when they visit a flower. Pollinators carry pollen on their legs or body to other flowers where it can be deposited onto the female structure of that flower. Some plants self-pollinate, a process where pollen from a flower is used by that flower to produce seeds, but genetic variety helps populations survive and adapt to their environments. By using pollinators, flowers are able to maintain greater genetic variety by spreading and mixing genes throughout the population.